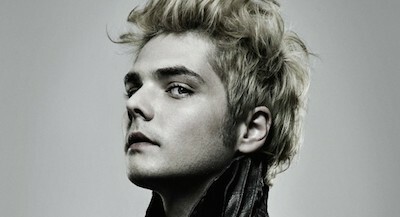 Anticipation for former My Chemical Romance frontman Gerard Way’s debut album ‘Hesitant Alien’ continues to gather pace, this time with the news that the video for the brand new track ‘No Shows’ (directed by multimedia artist Jennifer Juniper Stratford) is now online and impacts September 29. As an instant incentive for everyone who pre-orders ‘HESI’. A deluxe bundle is also available which packages the CD or vinyl format of the album together with an exclusive t-shirt and a limited edition ‘Hesitant Alien’ zine which was hand-drawn by Gerard and limited to a print run of 5000 copies. Working with producer Doug McKean, Way knew immediately what he wanted ‘Hesitant Alien’ to sound like. “I wanted to make the small things sound big,” he says. “My intention was to make 100 percent uncompromised art, using the currently least radio-friendly instrument, the guitar. I knew there would be lots of fuzz pedals. I knew I would play Fender instruments. I knew I would look at who my guitar heroes were in art school, Mary Timony and Carrie Brownstein, and I drew a lot of influence from shoe-gaze and Britpop. I want the record to sonically galvanize people.” ‘Hesitant Alien’ was mixed by Tchad Blake (Arctic Monkeys, Black Keys).